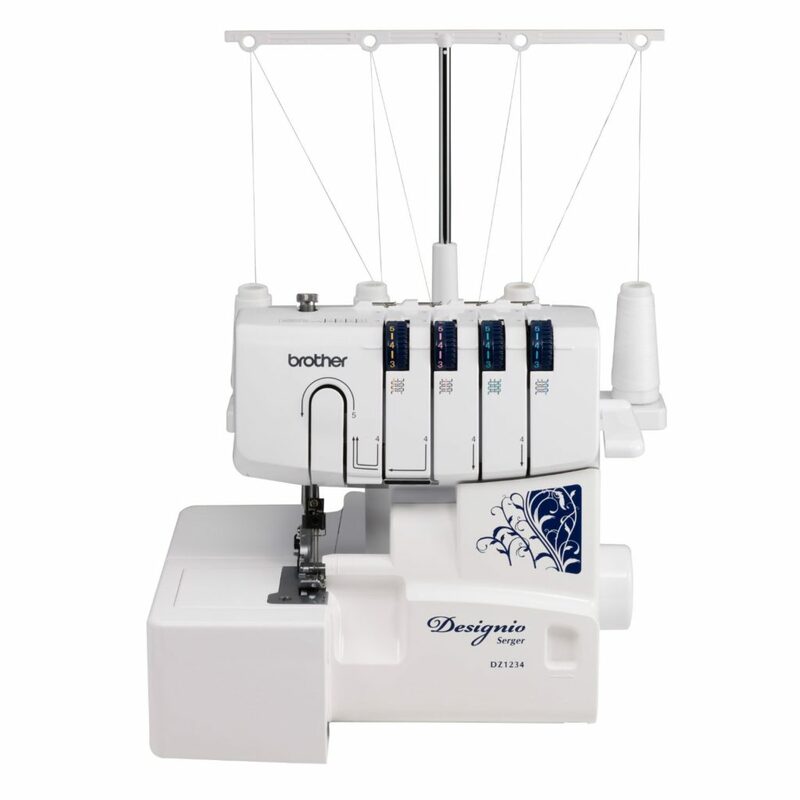 Making adjustments to your dress and other apparel is made quicker without much hassle when you have the Brother Designio Series DZ1234 Serger Machine. It comes with three different specialty stitch foot settings and two starter threads so that you can have wide range of stitching options from the basic ones to the decorative techniques and stylish finishes. Thanks to flexible configurations, this sewing machine can produce high quality and consistent stitching on various kinds of fabrics including lightweight knits. In short, this amazing sewing equipment is packed with great features that will be a delight for both the creative hobbyists and the serious fashion designers. 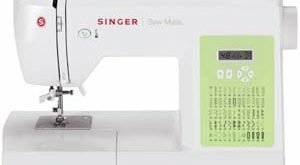 Why choose the Brother Designio Series DZ1234 Serger? 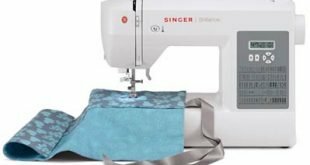 The inclusion alone of a gathering foot, a piping foot, a blind hem stitch foot and 2 starter thread sets in one package already gives this serger sewing machine an advantage of being loved by any sewing enthusiast and professional. There’s just so much you can do with this Brother Designio DZ1234. You can take advantage of the basic sewing techniques that lets you repair any apparel or make adjustments to dresses and jeans. Later on, you can proceed with high quality stitching on the hem to secure the fabrics. The machine is also capable of some decorative stitching, which means that it’s a great investment for creating fashionable apparel, formal wear, stylish upholstery and related products made of any type of fabric. One of the distinct features of this machine is that it can be conveniently converted from a free-arm design into a flat-bed one, and vice versa. This means you can have the appropriate working surface all in just one machine no matter how large or how meticulous your project is. The machine can give you up to 1,300 stitches per minute, allowing you to finish making your couture-level apparel without sacrificing aesthetics. Choose from a range of stylish seam stitching with a width from 5mm to 7mm. With the three interchangeable feet, you can streamline the stitching processes. The gathering foot can help you conveniently materialize your fashion idea without having to use pins while giving the edges some finishing touches. The piping foot will help you turn a cord and a fabric strip into your own piping. It’s also useful for keeping zippers in place as you stitch. The blind hem stitch foot can handle a wide array of fabrics including lace. It’s ideal for utility stitching as well as decorative embellishments and edge finishing. Fashion designers will love to create and finish their products and accessories with this machine. They will be able to add ruffles, decorative zippers and piping into their masterpieces, further creating an awesome product. 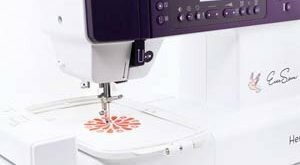 With over 20 serger stitch functions, the machine can also be great for creative individuals, sewing hobbyists and even arts-and-crafts enthusiasts working constantly on fabric. Tailors, dressmakers and other skilled individuals in the same line of business will also find this machine a great investment. There are a lot of basic and decorative techniques that they can do with it. Take note though that the Brother DZ1234 shouldn’t be used as a complete replacement of standard sewing machines. This sewing machine is not recommended for regions or countries that do not provide 120V AC even when a voltage adapter is used. Those who are unfamiliar with serging will find this sewing machine complicated to operate. But the manufacturer has included CDs for operation and techniques as well as a techniques book and an operation manual. The product includes a 25-year limited warranty from the manufacturer. Aside from that, here’s a list of what comes together with the machine. 4 accessory feet, including the standard foot on the machine.